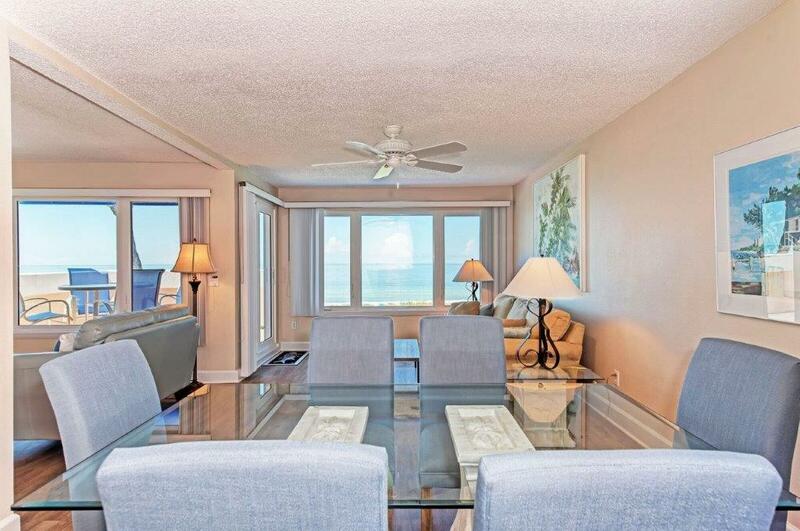 Enjoy this breathtaking Gulf-front, sunny unit with spectacular beach and sunset views. 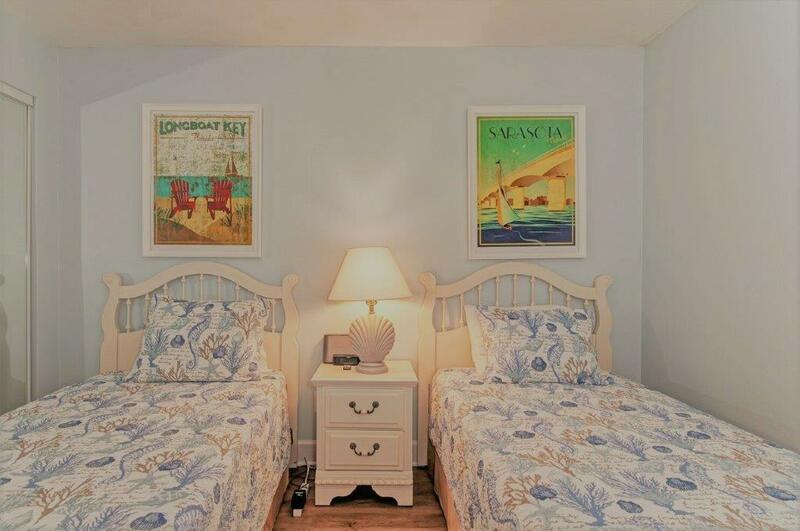 Accommodation for up to 6 with 2 bedrooms, 2 bathrooms and queen sleeper sofa. 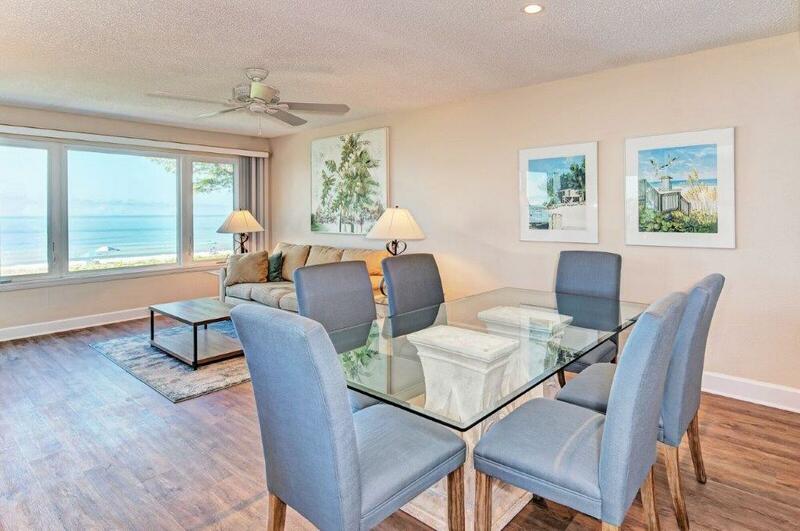 The open floor plan of living room, dining room, kitchen and den offer full views of the sparkling turquoise water, blue sky and white sandy beach. 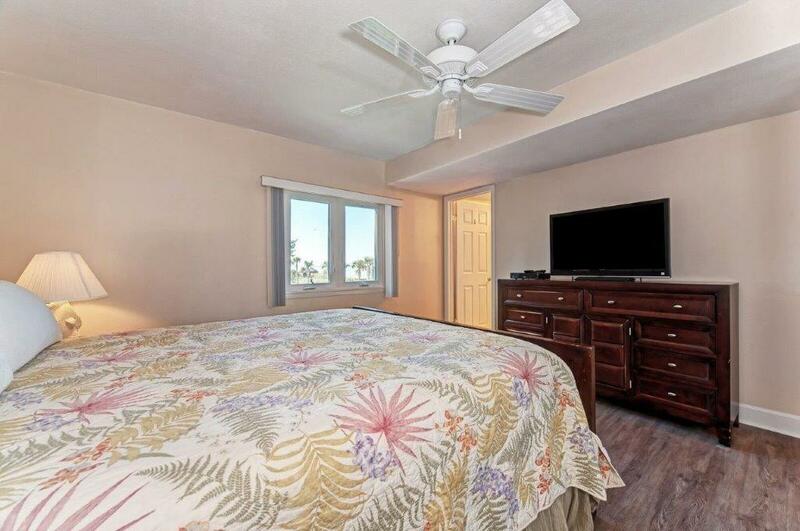 The unit is newly re-decorated in natural, soothing tones of soft blues and tans that flow from the outside colors of the beach, water and sky that you see from all these rooms. 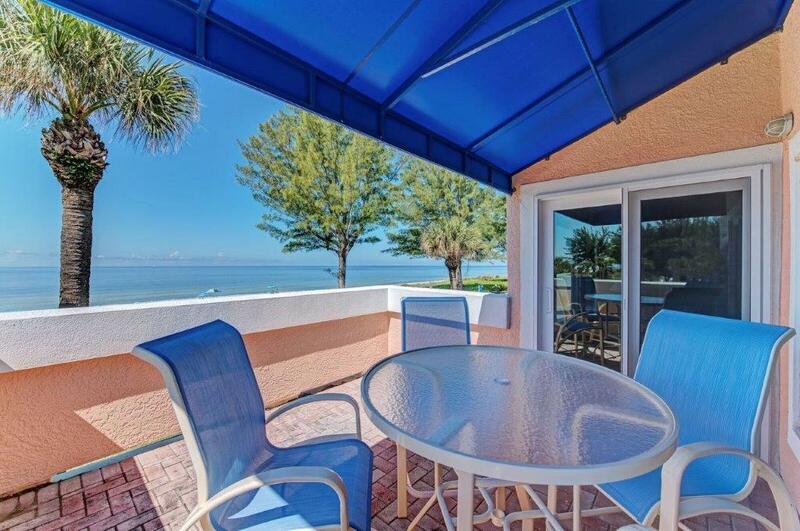 The private balcony has panoramic views, shade cover and comfortable, new patio furniture. 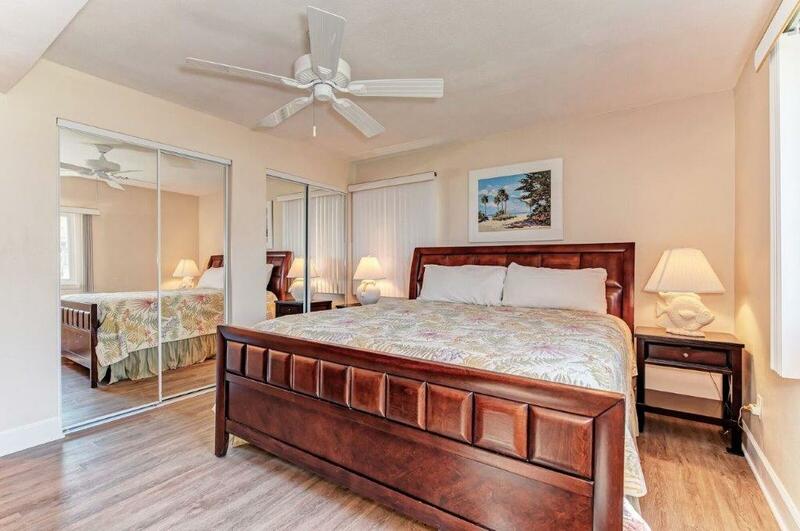 The spacious master bedroom feels very private, has beach view, king bed, flat-screen TV, en-suite bathroom with walk-in shower and large closets. 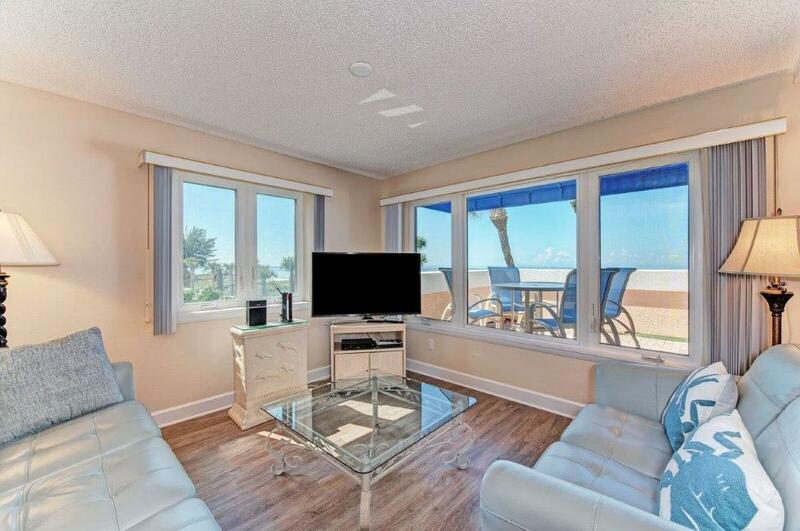 Living room has beautiful, new pale blue leather sofas. 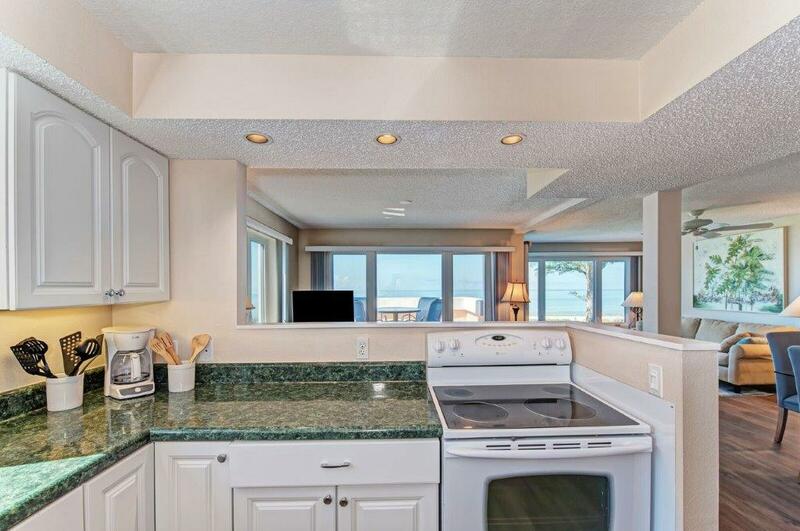 Kitchen is well-equipped with many new items and beach views. 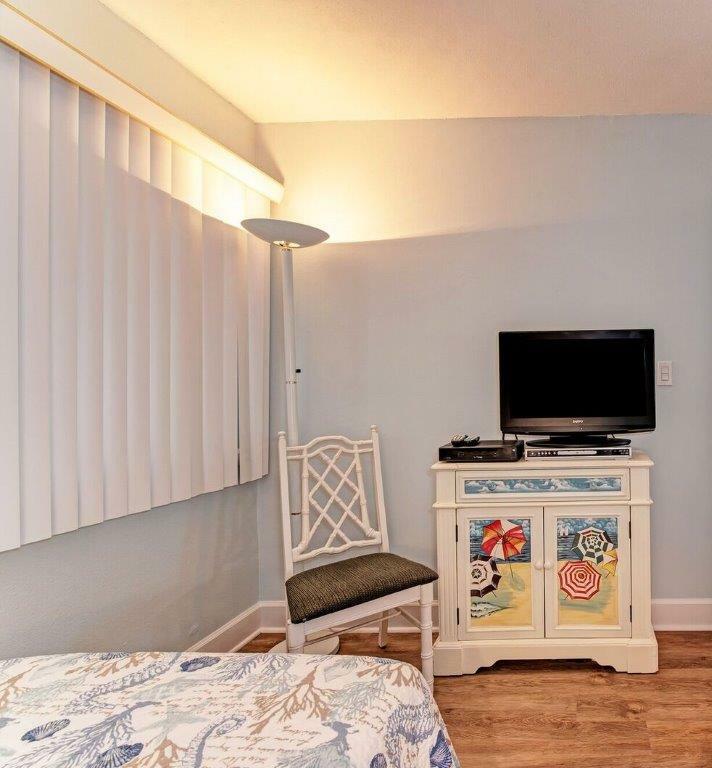 The large utility closet is filled with inflatable beach toys, beach cart, games, puzzles, iron/ironing board, clothes drying rack/clothes pins, folding grocery cart, all for your use and convenience. 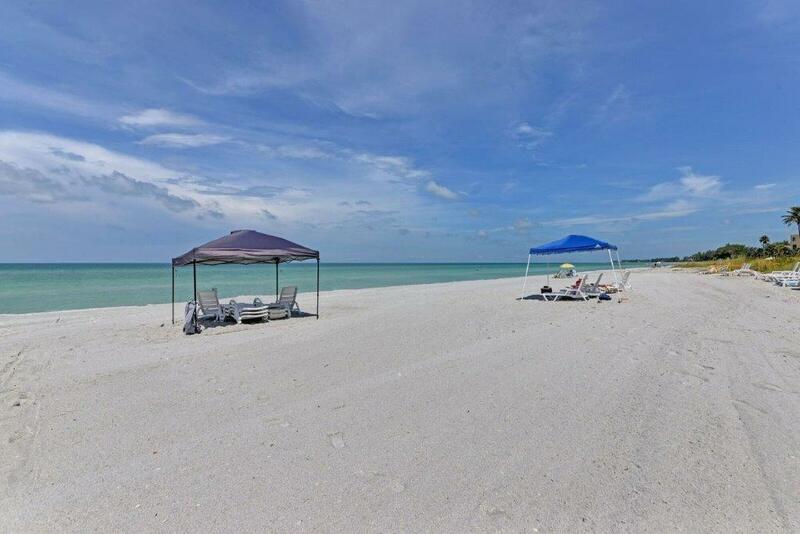 This is the perfect place to relax and recharge. 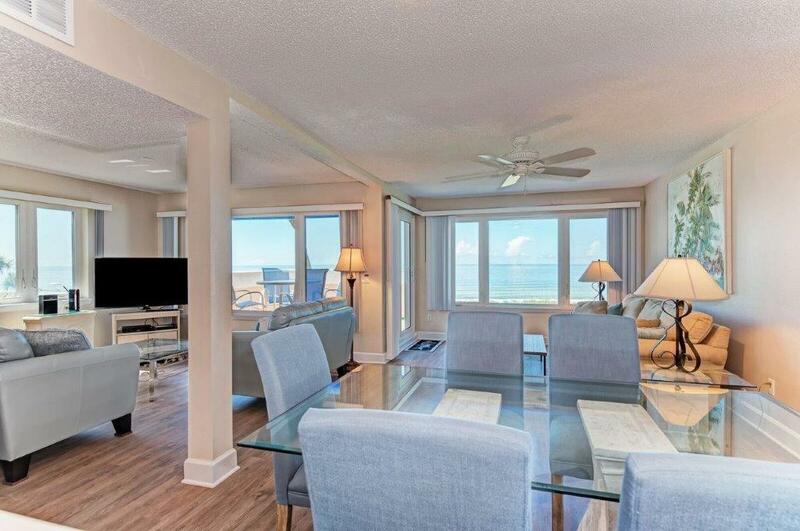 The condo has everything you might need for a getaway— beach umbrellas, towels, coolers, paddle boards, tennis racquets, etc. 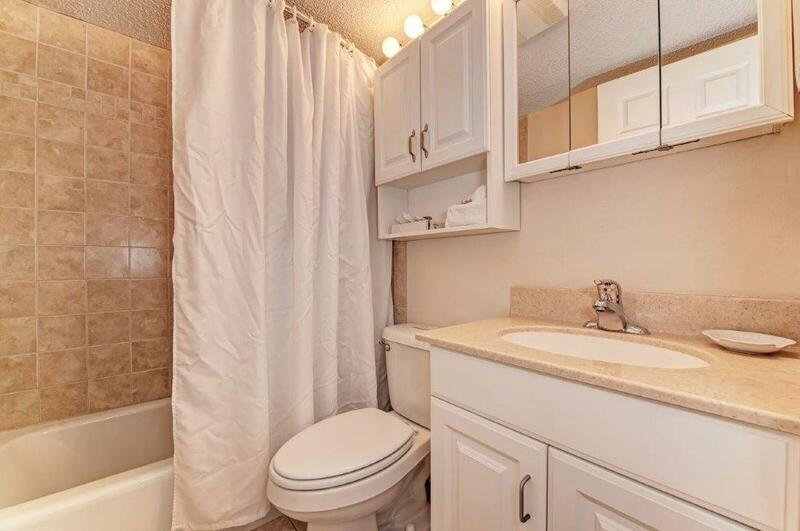 The unit was recently refurbished with new wood floors throughout, beautiful new leather sofas. 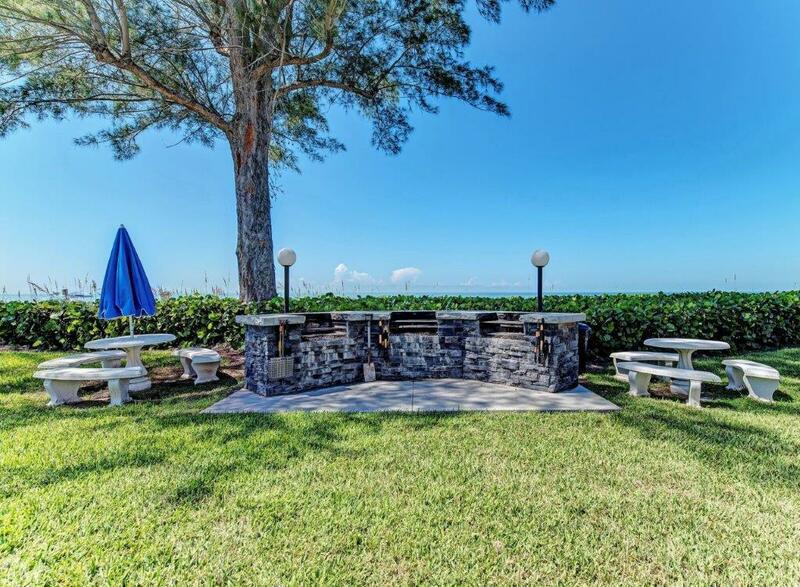 The fully equipped kitchen has gorgeous views of the gulf. 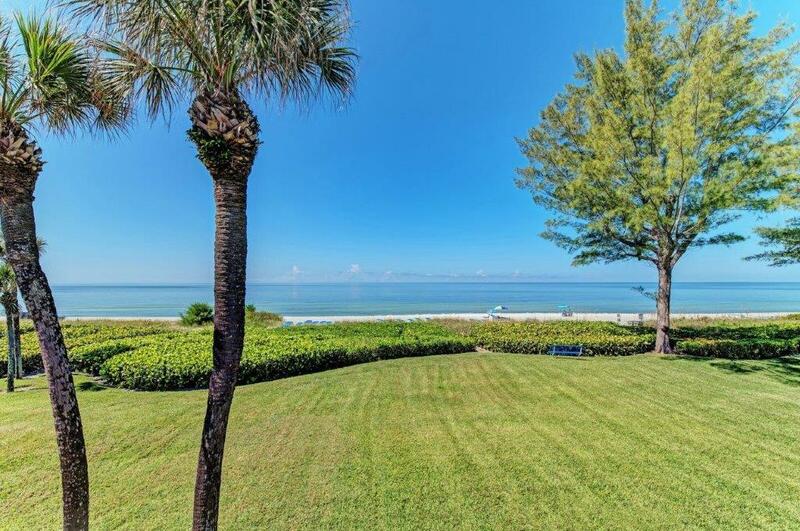 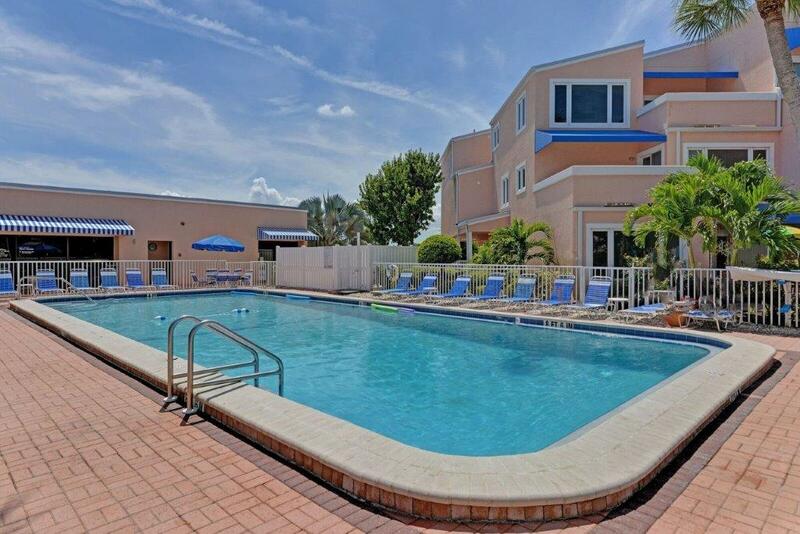 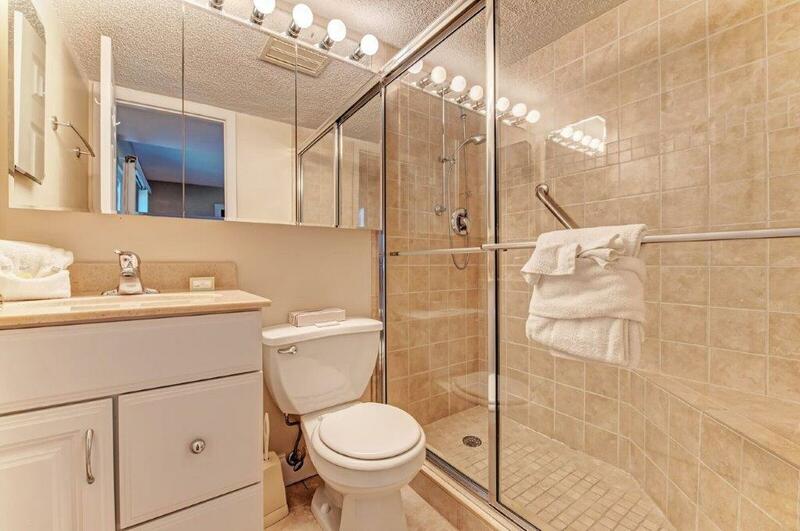 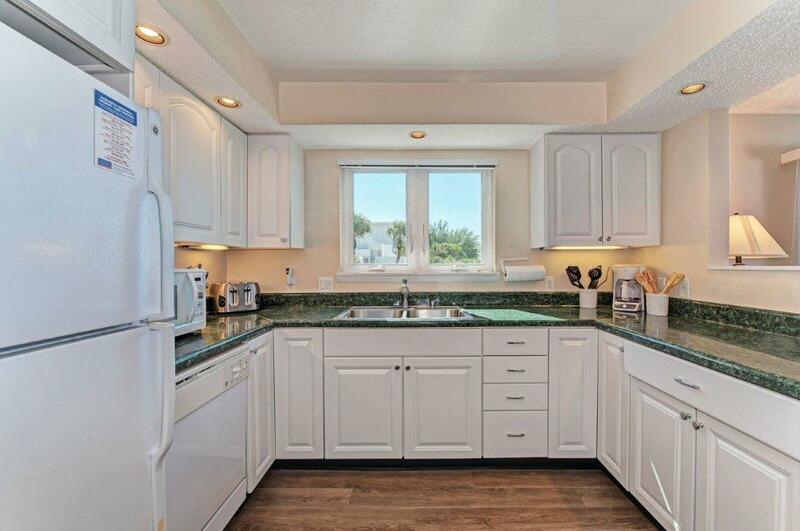 The location provides easy access to a superb Publix grocery store, shops, numerous restaurants of all levels on Longboat Key and several beautiful nature parks.